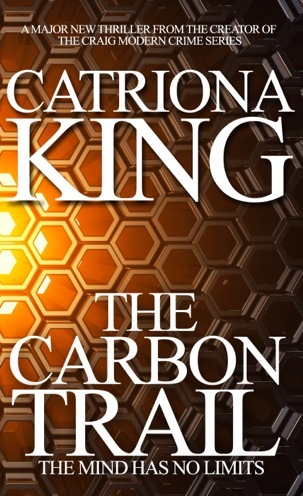 I am delighted to host fellow-kitten, Catriona King once again – I have enjoyed every one of her Craig detective series, and await her venture into a new genre with interest (although I must admit I’ve been guilty of packaging espionage thrillers and crime novels together in my mind in the past). I’m looking forward to meeting you in the flesh at last, Catriona – in London on the 30th May! ‘Why New York?’ might seem a strange title for a guest blog, but it’s very relevant to my next book, ‘The Carbon Trail’. After releasing five books in the Northern Ireland set Craig Crime Series, it would be natural for people to assume that I was a writer who would ‘stay put’, in terms of book locations, if not personal geography, and that my next book would once again be set in the country of my birth. But having decided to write a standalone novel, unrelated to the Craig Series, I wanted to challenge myself. Not only by writing in a different genre; espionage thriller as opposed to crime novel, and creating completely new characters; but also by choosing a location far away. So ‘The Carbon Trail’ came to be set in New York City and Long Island. North America and Ireland have of course always had strong links, not only because of the large number of American citizens of Irish descent and strong communication links, but also in terms of America being a location that has featured strongly for years on both Irish and British television. I grew up watching American movies as a child, as well as British. But that wasn’t the only reason why I chose New York as the location for ‘The Carbon Trail’. It was more personal than that. My first knowledge of America came from watching television, and of New York in particular from watching ‘Cagney and Lacey’ chasing criminals through its skyscraper-ed streets. Every little girl in the 1980s wanted to be the intrepid lady cops, especially the glamorous Christine Cagney. But it was the American links closer to home; tales of mysterious aunts and cousins who’d left Belfast long ago to seek their fortune in America, that really started my curiosity about the United States. And then, of course, there was Father Joe. ‘Father Joe’, as he was known, was a chaplain in the American Airforce who travelled far and wide, bringing comfort to the troops wherever they were posted. He was a friend of my mother’s and he visited my grandmother’s house on his trips home to Ireland when we were young. I remember the day I met him as if it was this week. Father Joe wore a smart brown-green uniform with ribbons on his chest, but most of all he wore a peaked cap. That cap encompassed all the bravery of the movies and all the glamour and swagger of a casual salute. And I got to try it on! I remember putting it on my little-girl curls and marching around the room with it on my head, hearing his words, words that I can still hear as clear as day, words that made all of us children adore him. “Give the kids some cookies, Katy”. Katy was my grandmother. I never saw Father Joe again after that day, but I hear that he’s still alive. After that, America as an image, with its myriad stories and new things, was well and truly stamped on my brain. Even more so on one of my brothers’; he now lives outside San Francisco bringing up his children in the American way. San Francisco is beautiful but for thrillers and adventure there was only one place that I could set my thriller. New York City, New York State. So good they named it twice. New York’s urban grit and realism was there in the 1980s for Cagney and Lacey and it’s still there today for Jeff Mitchell, my main character in ‘The Carbon Trail’. It provides the perfect backdrop for the espionage, murder and love that are about to touch his life. THE CARBON TRAIL: THE MIND HAS NO LIMITS. Released in paperback and e-book on April 15th. Aside | This entry was posted in Authors and tagged Catriona King, Father Joe, Ireland, New York. Bookmark the permalink. 2 Responses to Why New York? I love the story behind setting a book in NYC! It’s so crazy how someone from our childhood can impact our adult life. For me, my love of Ireland comes from my Irish origins, as well as Pat, who used to travel the world with my Grandmother every year (they met when my grandparents were on a bus tour in Ireland and it rained, so the driver invited them home and it started a decades-long friendship. My grandfather was quite chatty). Of course, I live in the States so it’s the opposite of Catriona, but I love the story nonetheless!